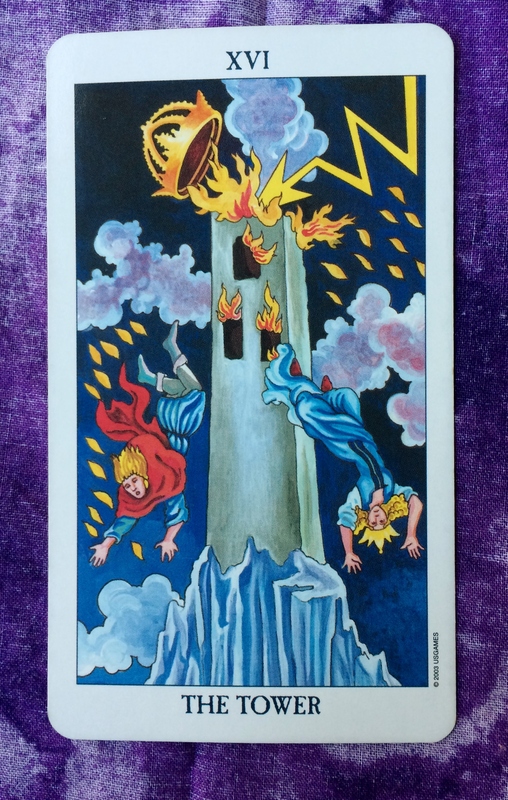 The card for today is the Tower. A major shakeup is in the making, if you’re not feeling it already. Something in your life is changing quickly and drastically. Lightening has struck the tower you thought could not be destroyed, but now it is falling apart around you. It can no longer contain you. For some of you, the thought of change is frightening. But quite often, change is necessary and good, as it probably is in this case. So don’t meet this change with fear and anxiety. Go with it. When all is said and done, your life will be changed for the better. Change happens in the natural course of life. As much as we try to prevent it, we can’t. So the choice is ours: Either it can roll over us like a big boulder racing downhill or it can help us move along the path we are intended to go. Try to look on the bright side and yes, there is a bright side. The crumbling tower was actually your prison and now you are set free.